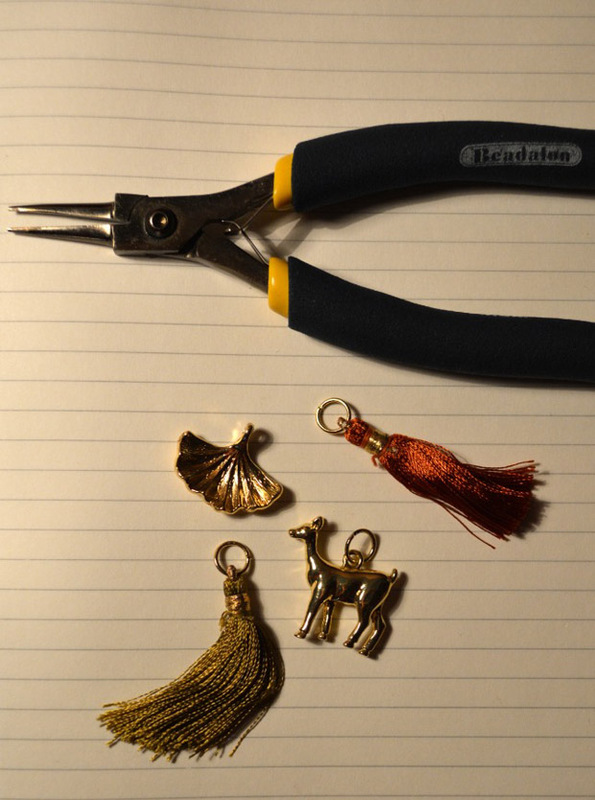 1) Open your jump ring from side to side and attach a charm. Close the ring how you opened it. This keeps it perfectly circular. Beadalon makes findings like these jump rings in a ton of metal finishes and thicknesses. 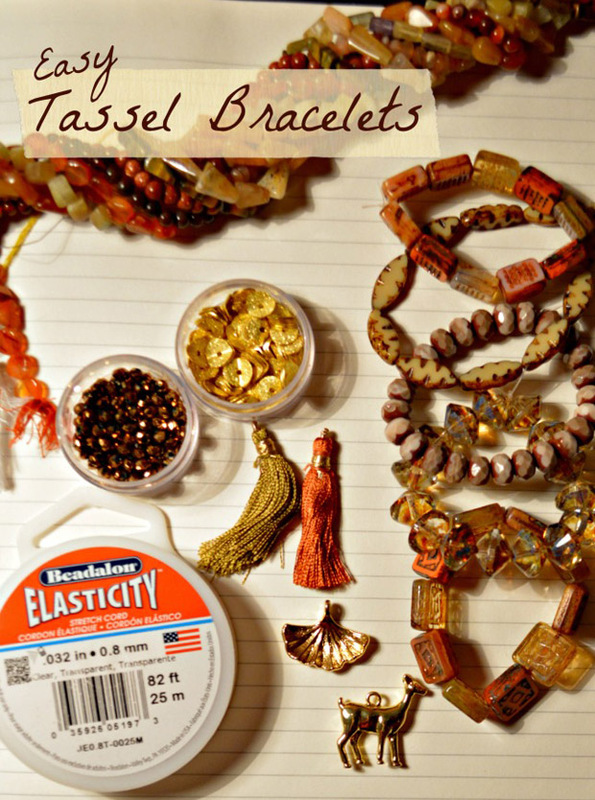 2) Let’s talk a little bit about beading elastic. 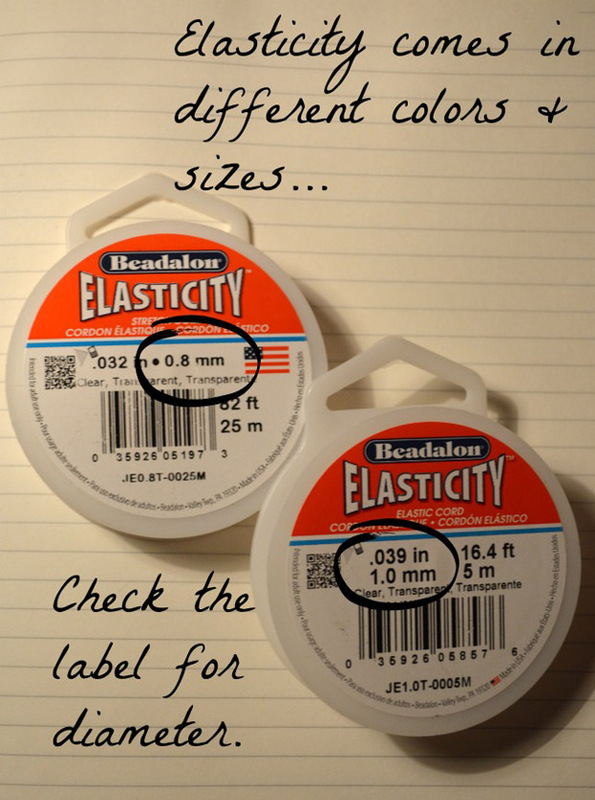 Elasticity comes in different diameters–.8 and 1mm seen above are the two I use the most. 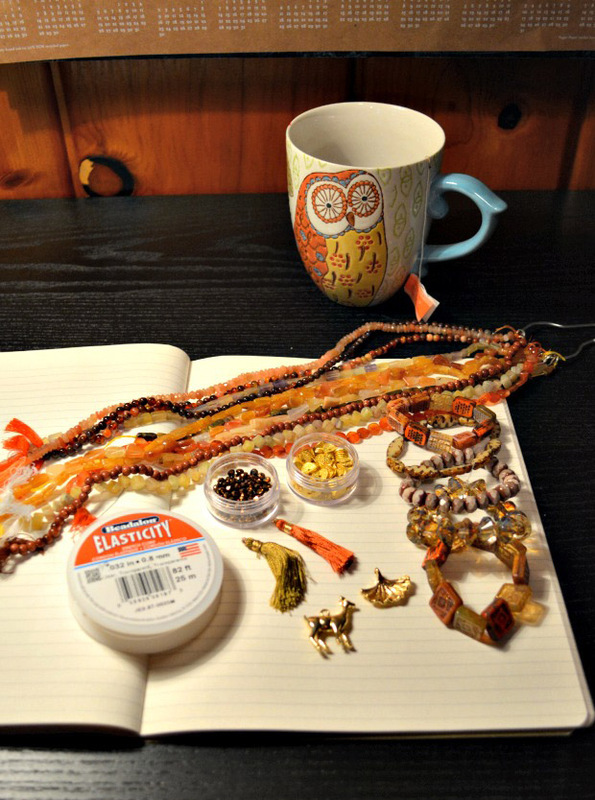 I use as thick of elastic as I can that will fit through the bead holes so my bracelet is strong. 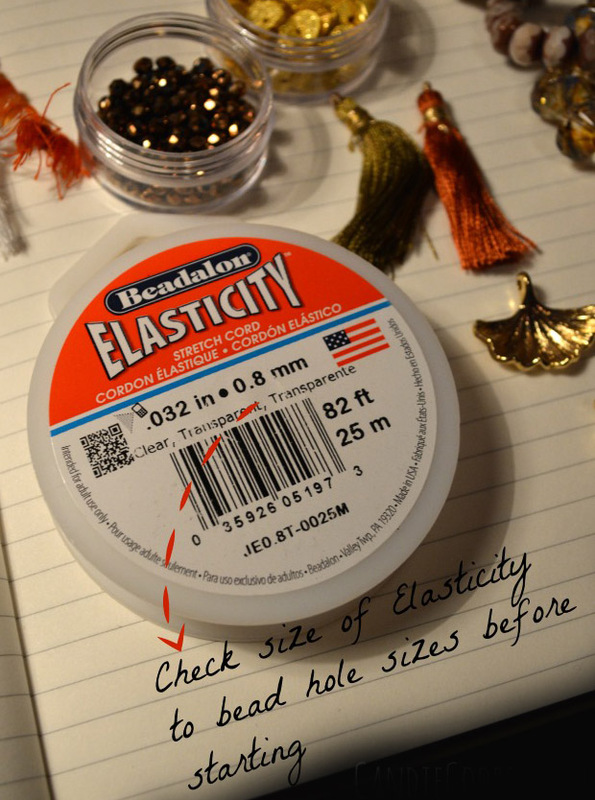 3) We all know no two beads are alike so check all your beads to the diameter of Elasticity before stringing. 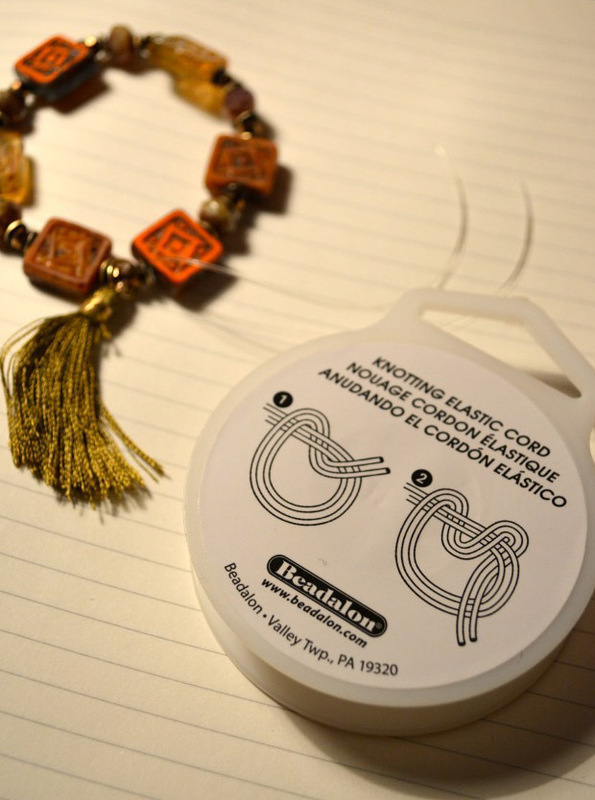 5) When you’re happy with the bracelet, check the back of the Elasticity package for how to tie a secure knot. 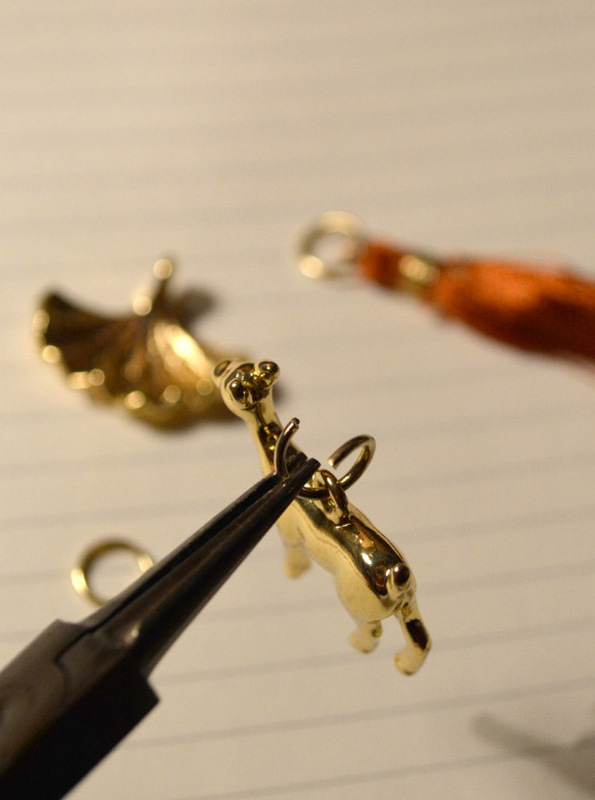 It’s helpful to slide the knot towards the beads and then pull the tails apart to cinch the knot even more. 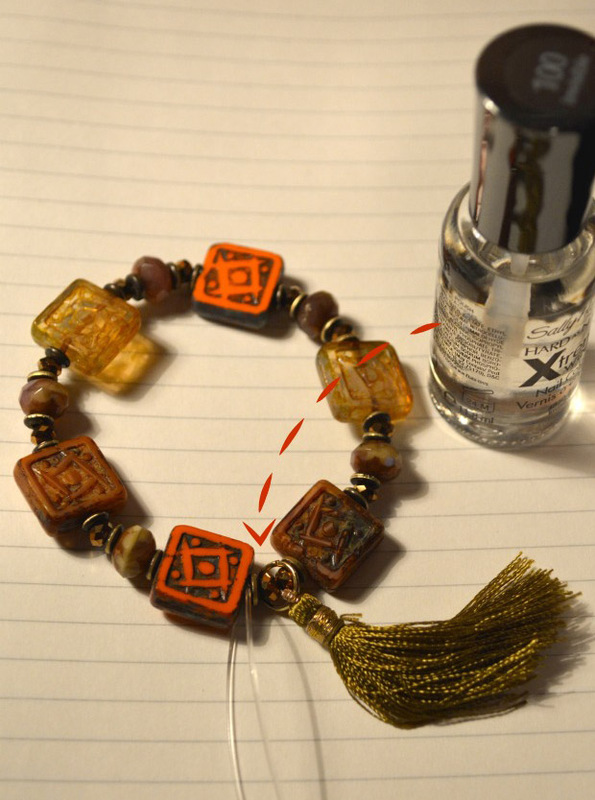 6) Secure the knot with a touch of clear nail polish. Leave to dry, give it one last tug and then trim the ends leaving little tails. I’ve been wearing these one at a time and all together with some metal bangles, comfy sweaters, brown boots, and my favorite orange scarf. Cozy.